Warning: This is the interview in English. If you want to read it in Portuguese, click here. Aviso: Essa é a entrevista em Inglês. Caso você queira ler em Português, Clique aqui. On the first week of January we had a post here on the blog (if you haven’t read, click here) which is about the work of Taro Bando and the F-Zero X soundtrack, speaking briefly about both the story and the technical aspects. In this article, I quoted Tony Thai, who rearranged the track of the first F-Zero (Snes) to be in the style of X. For the first time here on the blog, we will have an interview with musician Tony Thai. The interview was done by email, it tackles some facts about Tony, his work itself and the F-Zero Franchise, I hope you enjoy it. I was introduced to music-making back in 1997 when a friend gave me a MIDI sequencing software, one of which being Cakewalk Pro Audio 6. I knew nothing about music or theory at the time, but after dabbling with the sequencers for a while I realized I could recreate tunes I've always had stuck in my head. And so I began transcribing my favorite video game tunes by ear into MIDI files and posted them online. I transcribed and released a bunch of MIDI covers on VGMusic for several years and intuitively learned the foundations of music theory in the process. Eventually I slowly transitioned into writing original music. What kind of music do you like? Which artist or band do you like? I didn't exactly listen to any specific bands or artists growing up. It was usually whatever song that was really catchy and got stuck in my head, whether it is a video game music, TV themes, anime openings, or even background music playing somewhere. My tastes have changed a lot over the years, but ever since an online friend introduced me to jazz fusion and Brazilian music I've been listening to a lot of great stuff by Casiopea, Pat Metheny Group, Shakatak, Tom Jobim, Ivan Lins, etc. Do you like/play videogames? What are the consoles and games you like? I used to play a lot of borrowed games on the NES, SNES, and a bunch of DOS games when my dad bought our first PC in 1992. Over the years I found out I was really good at racing games. I was also good at discovering glitches and shortcuts and used them to my advantage. During the official F-ZERO GX online competition back in 2003, I managed to win some official F-ZERO GX plaques and mousepads, but unfortunately I played on my brother's account so his nickname was printed on them instead. He's much better at racing games than I am, though. I also held the majority of the spaceflying world records in F-ZERO GX for a while before I stopped playing. It's seen as a cheap playing-style so I don't know if I should be proud of it, but it still required a ton of skill, effort and luck to beat the best players out there. As for consoles, I own an NES, SNES, N64, GameCube, and several handheld systems. I only bought the N64 and the GameCube because of F-ZERO X and GX. Do you have a favorite(s) game composer(s)? There are way too many to list so I'll just mention some that come to mind: Koji Kondo, Soyo Oka, Eriko Imura, Luna Umegaki, Hirokazu Ando, Yousuke Yasui, Jimmy Weckl, Daisuke Shiiba, etc. Why did you arrange the F-Zero's soundtrack? The F-ZERO series has been one of my favorite racing game series with catchy music I loved. I got into music-making around the same time F-ZERO X came out so it had a huge influence on my music. I remember how awesome the Mute City and Big Blue remakes sounded and wanted to hear the rest of the original F-ZERO tunes arranged the same way. I tried to make some F-ZERO X style songs myself, but the best I could do was a MIDI imitation using soundfonts that sounded nothing like it. Because F-ZERO X's music was streamed it wasn't possible to rip the samples like you could with other N64 games. Over the years I've incidentally come across the some of source samples used in the F-ZERO X soundtrack from drum machines like the Boss DR-660 and sound modules like the Kurzweil K2500 and the Roland SC-88pro. There are still a lot of samples I don't know the source to, but I was able to recreate most of them using existing sounds from my sound library. Most importantly was how I finally figured out a way to imitate the F-ZERO X guitar tone. I was playing around with Guitar Rig 2 and didn't have a guitar hooked up so I used a MIDI guitar patch from the soundfont that came with my Sound Blaster sound card (CT4MGM.sf2 or 4GMGSMT.sf2 or whatever). The moment I played a note I heard the F-ZERO X guitar tone I've been trying recreate this entire time. (EXAMPLE) I was really excited because it was the closest I've ever gotten to recreate the guitar sound from F-ZERO X. It was then I knew I had to recreate the rest of the original F-ZERO songs with F-ZERO X's instrumentation. How was doing this album (F-Zero)? It was fun. I had a ton of time back then because it was summer and I didn't have to go to work so I could spend all day working on a single song. 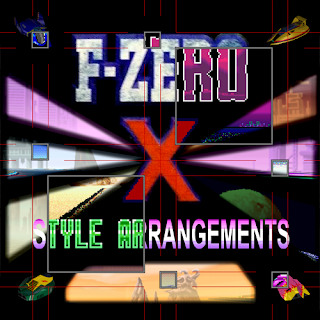 Arrangement-wise, it was hard to decide whether or not I should arrange it faithfully to the source material or make it more F-ZERO X-like by simplifying the bassline and changing the chords to power chords. In the end I tried to do a mix of both while adding a bit of my style to it. Listening to it again now, there are a lot of things I'd change. First of all, I feel it could really use better mixing and EQing. The overtone on the bass is bothering me and the ride cymbals are too quiet. Some of the drum fills were too silly and probably required more than two hands to play and the arrangements for Sand Ocean and Red Canyon could've been better. I also don't like how the songs all ended abruptly instead of fading out. I would've fixed it by now, but the project files are stuck on a broken hard drive somewhere. What's your favorite track on your album? Why? And in the F-Zero Franchise? Probably Port Town, because it was the first song I wanted to recreate with F-ZERO X's instrumentation. Also Silence, because since I wasn't limited to only 8 channels of polyphony I was able to flesh out the chords more at the beginning of the song. In the F-ZERO franchise I'd have to say my favorite tune would be F-ZERO X: Expansion Kit's Roller Coaster from the N64DD. I remember hearing it for the first time in a time attack run video by a Japanese gamer and just had to do a remix of it. Unfortunately, no clean recording of the full song even existed at the time so my only source to hear it was that time attack video. Because of the loud boosting noises and other sound effects I could barely make out the notes of the tune so there was a lot of guesswork involved in the making of my remix. What is your opinion about a new F-Zero game? Would you like a new one? Oh, absolutely. I've always wanted a new F-ZERO game with online multiplayer ever since F-ZERO GX. There are a few F-ZERO clones out there but I think they lack the kind of gameplay and physics that the F-ZERO series had. I think what set F-ZERO apart from other futuristic racing games was not only its speed, but it’s extremely precise controls and advanced techniques. 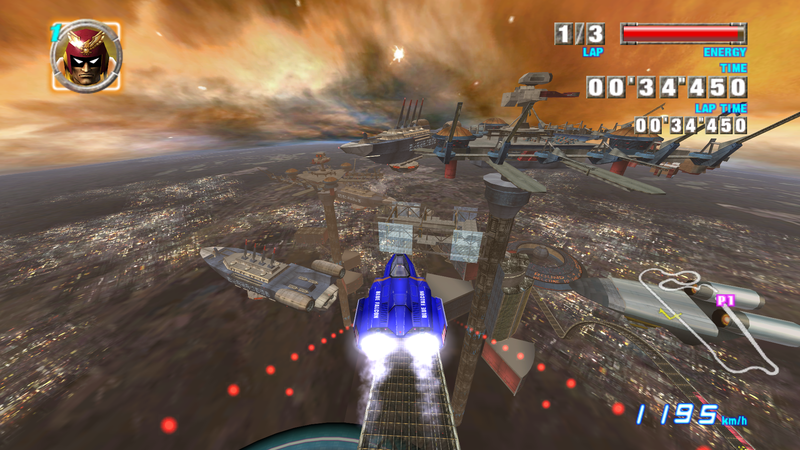 The physics of F-ZERO games have their quirks, but that's what made it special. It allowed a ton of unintended techniques to be discovered, like how touching the track while floating lets you to float forever, or how offensive moves like side attacks could instead be used for sharper cornering and gaining speed during nosedives. There were also riskier techniques that involved precise aerial maneuvers or scraping your vehicle against the wall sacrificing your energy in order to gain more speed. F-ZERO GX took this even further with much more unconventional techniques like releasing the accelerator to go faster, or repeatedly falling off the track and landing back on again to gain more speed, or even destroying your vehicle in hopes that the explosion would fling it across the finish line. Even after nearly two decades, new records are still being set because F-ZERO games are so difficult to master and still have so much potential. I saw that you have arranged other OST. Do you have plans for a future project or album? I have done several arrangements from other F-ZERO franchises but never finished them. You can find them on my site in this page: F-ZERO Stuff . I did plan on getting an album of my original compositions out, but I haven't touched it at all and they won't be related to F-ZERO in any way. I still have hundreds of unfinished songs from 2010-2016 I really need to finish up. What difference a good OST could do in a game? Normally, a good soundtrack should make the player feel part of the game and evoke whatever emotion whenever it needs to. But I like soundtracks that also work on their own and can be enjoyed outside the context of the game. Ones that get you motivated and are really catchy, something you can either hum along to, or listen to repeatedly without ever getting bored of. F-ZERO X had a great soundtrack that perfectly suit the speed of the game. Every track was catchy and memorable. It worked both in and out of context (but may be dangerous to listen to if operating a motor vehicle). Sometimes a soundtrack alone can make or break the game. I've seen many cases where people will buy a game just because of its composer even if the game itself is mediocre. Ultimately, a good soundtrack will make me remember the game forever. Have you ever thought in composite an OST for a game? I've thought about this, but I'm afraid I'll spend too much time trying to perfect a song when I should be moving on. I can come up with hundreds of silly or, if I'm lucky, catchy melodies and chord progressions, but what follows is a meticulous process that takes a lot of concentration and energy from me: turning them into fully fleshed out songs. I'm constantly making musical decisions and scrapping more than I'm keeping, making it takes forever to complete. It also doesn't help that I'm not very good at playing an instrument so I'm inputting all the notes with a mouse. I tend to take my sweet time when composing, but even if I feel I've written something to the best of my abilities, I'll notice problems with it listening to it again the next day. I also don't have as much time as I used to because of work and other hobbies. This is why my musical output as diminished significantly after 2011. I hope no one reads this or they'll never hire me to compose for them. Did you like the interview? Want more content of this style? Comment and see you next time!